Why Didn’t the US Shoot Down That North Korean Missile? The military’s record of hitting intermediate-range missiles is less than perfect. That makes the decision to attempt an intercept much harder. This story has been updated to reflect recent developments overnight. North Korea launched another medium-range missile on Monday, this one right over Japan. Despite Defense Secretary Jim Mattis’ threats to shoot down missiles aimed at Guam and President Donald Trump’s Pyongyang-aimed bluster, the United States and Japan let it fly. Why? After the test, Trump on Tuesday said that “all options are on the table,” as every president has said for decades. But the Pentagon is still reluctant to use some of the most obvious options, such as shooting down a missile above the earth’s atmosphere with another missile fired from a ship. The United States has 33 Aegis warships (three more are slated to arrive next year) that can launch an interceptor to hit a mid- or intermediate-range missile like the Hwasong-12 that North Korea sent over Hokkaido. Sixteen of those warships are currently in the Pacific. Mattis said earlier this month that any North Korean missile headed toward U.S. land, including Guam and other territories, would be shot down and considered war against the United States. But, he added, if the missile were tracking to land in the sea, it would be the president’s call what to do about it. But what are the costs and what are the benefits in attempting such an intercept? Anti-missile interceptors like the ones on U.S. warships are designed to hit enemy missiles as they reach peak altitude — in the case of the Hwasong-12, that’s above 3,500 kilometers. The United States has demonstrated that it can intercept mid-range and slightly higher intermediate-range missile. But the test record includes embarrassing and recent failures. Between January 2002 and August 14 of this year, the Defense Department attempted 37 interceptsof a mid-range missile and hit the target 29 times with an SM-3. There are many reasons for this, but the biggest, according to the Pentagon’s Office of the Director of Operational Testing and Engineering, is that realistic testing of interceptors is very expensive and requires a lot of lead time and support. No, USSMcCain Probably Wasn’t Hacked. But What If It Was? Update: On Wednesday morning, MDA conducted another successful intercept test using an SM-6 aboard a warship against a medium-range ballistic missile target. “The USS John Paul Jones detected and tracked a target missile launched from the Pacific Missile Range Facility on Kauai, Hawaii with its onboard AN/SPY-1 radar,” the agency said in a press statement. In February, MDA showed that their newest version of the standard missile, the SM-3 IIA, could hit a mid-range missile. But a second test in June was a failure. The Navy later attributed that to human error. But 50 percent is not a good record for the most advanced intermediate-range interceptor in the U.S. arsenal. The Obama administration pushed hard for a ship-based defense against mid-range North Korean missiles aimed at Japan or Guam but found that the military has much better chance of hitting missiles that don’t fly so high. Shooting down an enemy missile aimed at U.S.territory may be good defense, but shooting down a missile test aimed at the sea would be an act of war. Or so argued North Korea. The highest probability of success would be to hit the enemy missile closer to the ground, during the so-called boost phase. That’s what MDA is aiming for in the future with laser-armed drones. In July, the agency put out a request for information for a high-altitude long endurance aircraft. Read that to mean a drone that can fly above 63,000 feet for a long time. According to the request, the drone should have enough power for a 140-kw laser. But that program won’t even begin testing until 2023. 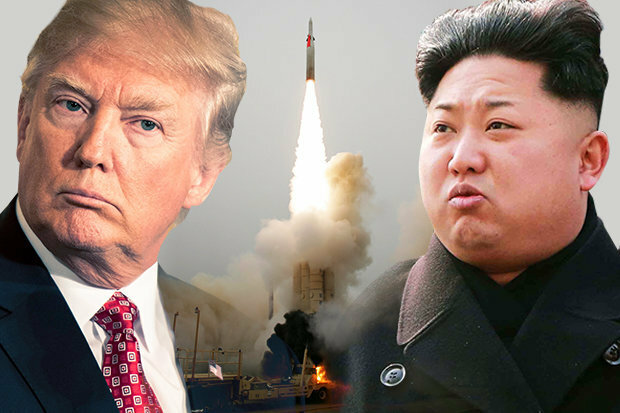 Until then, and likely even after, every time a missile heads toward Japan, Guam, or anywhere else, military leaders will have to decide whether attempting to shoot down North Korean missiles is worth the costs of possibly missing — or starting a war. 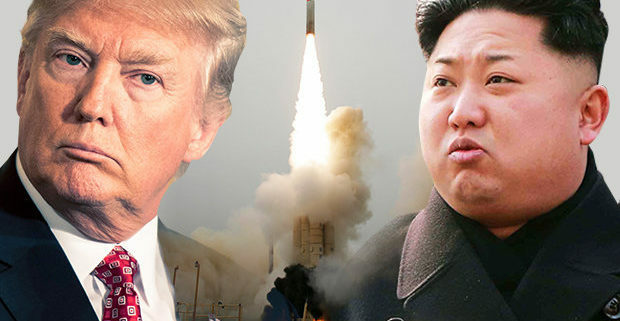 http://clayandiron.com/wp-content/uploads/2017/09/kim-jong-un-us-president-trump-missles-pic.jpg 413 620 DrBill http://clayandiron.com/wp-content/uploads/2017/06/logo-1.jpg DrBill2017-09-01 13:42:252017-09-01 13:42:25Why Didn’t the US Shoot Down That North Korean Missile?